Why not dine out your back door? 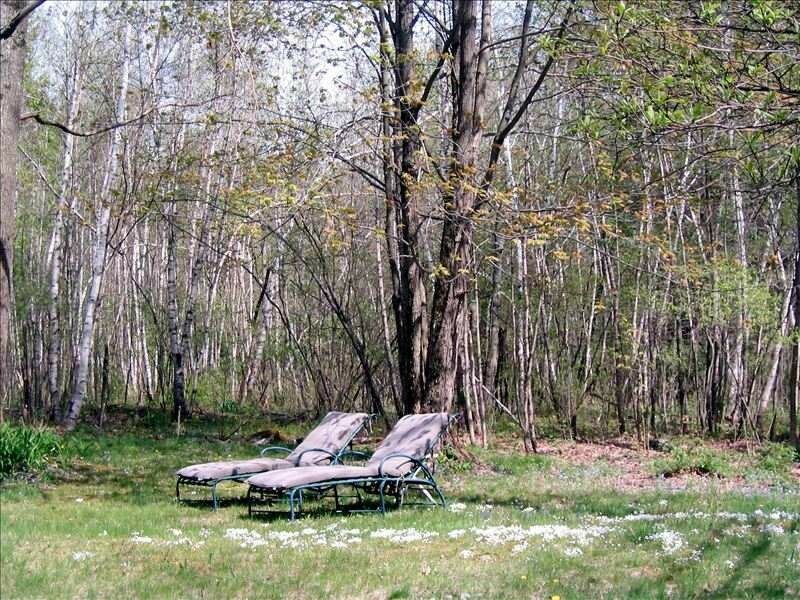 Only the owner shares this peaceful natural retreat, minutes from everything exciting in the Berkshires and Columbia County. The cottage is heaven sent for an individual or couple who want to relax in a natural retreat yet still have access to all this popular tourist area offers. Originally built by artist caretakers for a Manhattan horticulturist, the cottage has its own private driveway. It's spacious: 550 sq. ft. with a large bedroom/sitting room, separate full kitchen and sky-lit bathroom. There's a queen size bed, reading and dining areas, a smattering of antiques along with Cable TV, DVD, a CD player, WiFi, air conditioning and heat. It is comfortable and well equipped. From a picture window where the table is placed, you can look over the gardens to the swimming pond...a glorious view all year round. In summer, you can hear the stream trickling from the small front deck. Or step out the back to a private shade garden with chaise lounges for reading, a propane grill, table and chairs for outdoor dining. A gazebo cantilevered over the water is for your use alone. Perfect for yoga, reading, and relaxing, or a glass of wine before dinner. There is also a dock from which to swim or canoe. 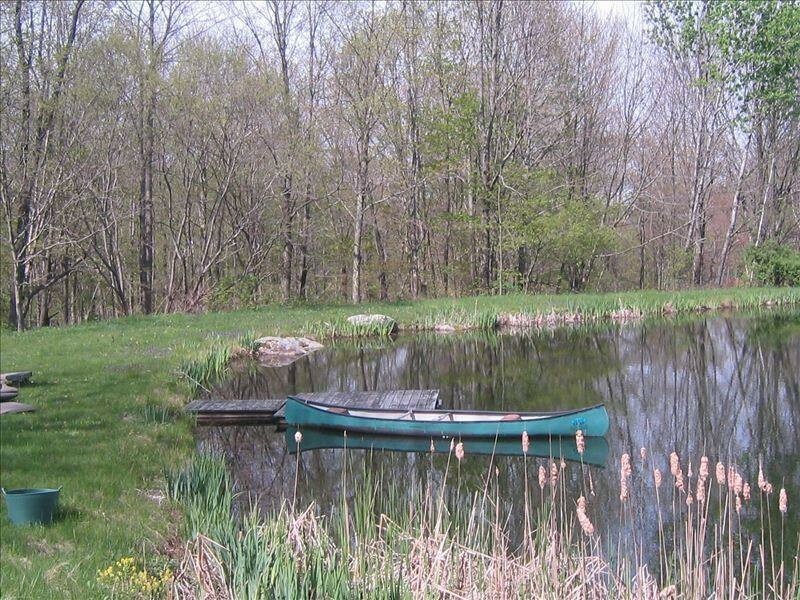 The pond itself is spring fed, about an acre in size, over 20 feet deep...clear and lovely for swimming. 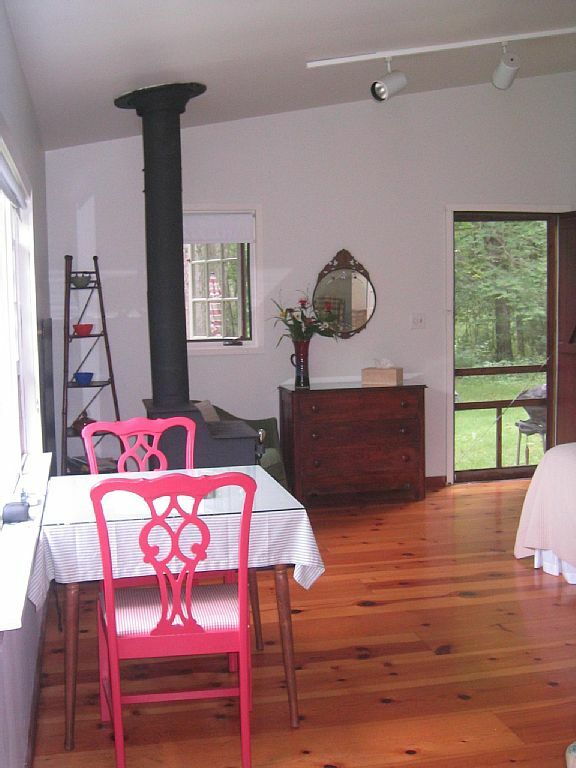 Enjoy the best of the Berkshires and Columbia County. 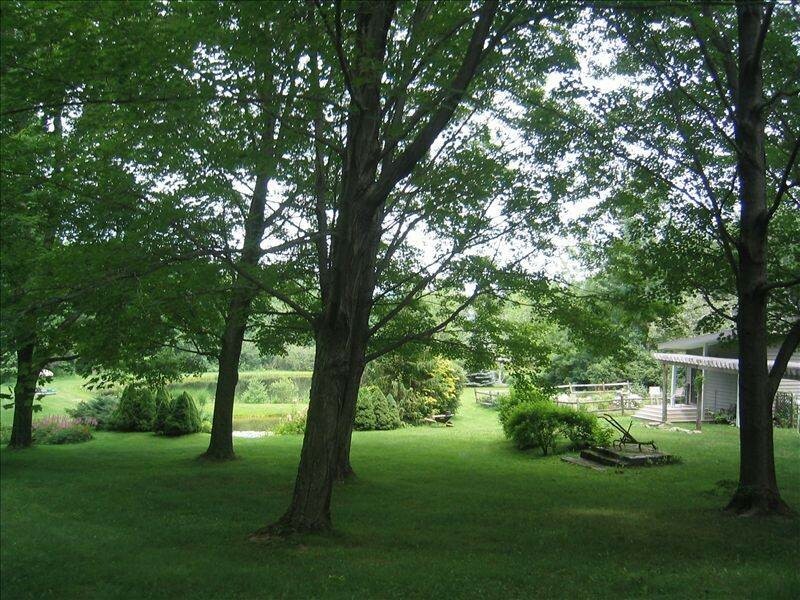 Once a part of Massachusetts, Austerlitz is on the NY/MA border, only 18 minutes to Tanglewood, Kripalu, less than a half hour to the towns of Great Barrinton, Stockbridge and Lenox, Mass; as well as Hudson, Hillsdale, and Chatham, New York. There are ski slopes nearby, golf, tennis, hiking, biking, restaurants, theater, films, concerts, museums, historic homes, antiques, farmers markets, wineries, distilleries, celebrity sightings....and so much more. Swimming, canoeing, walking around the pond, enjoying the gardens, lazing about the property, watching the hummingbirds skim past the flowers. Reading under a 100 year old tree. Listening to the trickle of the stream. Fresh air. Sipping that first cup of coffee outside, exercising on the gazebo. Yoga. Meditation. Slowing down.